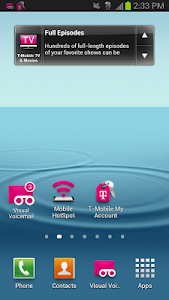 No need to change your T-Mobile voicemail number or to reconfigure your voicemail forwarding - Visual Voicemail activates for free at first launch. 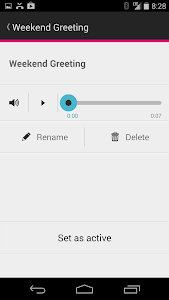 You can also upgrade to Voicemail to Text for a small monthly fee and receive all your voicemails transcribed into text directly in the application inbox, as an SMS message, or to an email address. 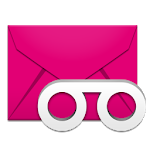 An Unread Messages widget is now included with T-mobile Visual Voicemail. 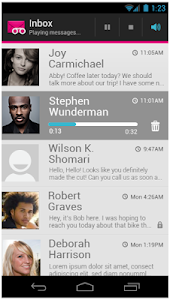 On most Android devices you can add the Visual Voicemail widget by long pressing on any free space on your home screen, selecting 'Add Widgets', and choosing the Visual Voicemail widget from the alphabetical list. 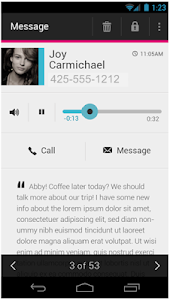 Our latest Visual Voicemail release provides extended support for Android Pie as well as making a number of bug fixes, stability, and performance improvements. Similar to "T-Mobile Visual Voicemail"